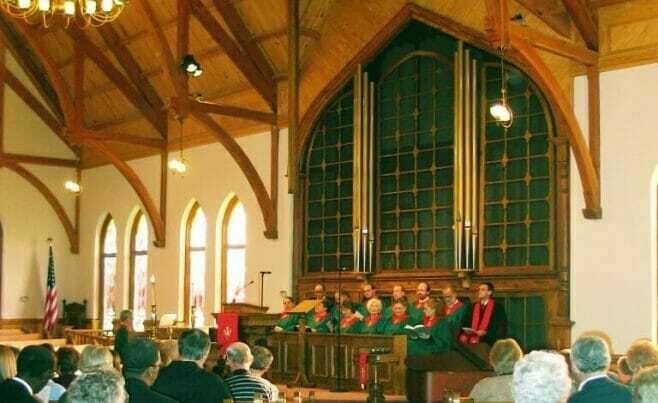 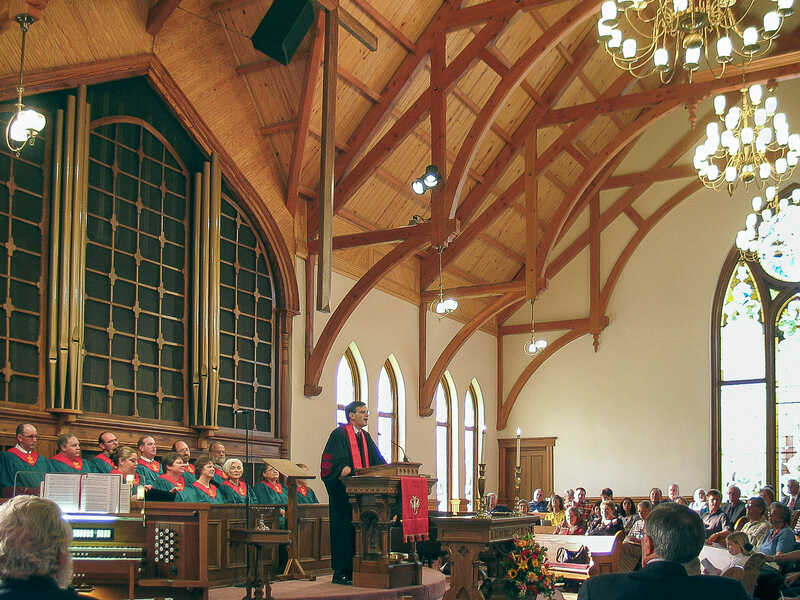 The First Presbyterian Church of Navasota is in Texas. 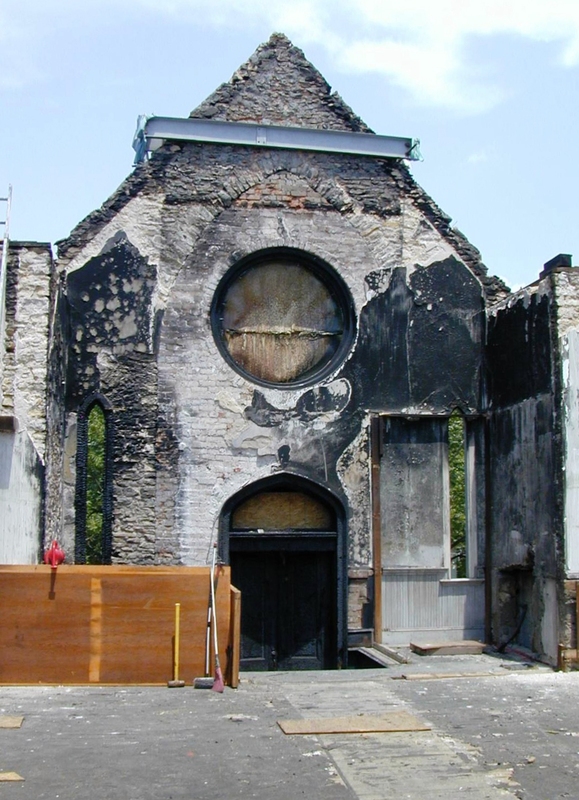 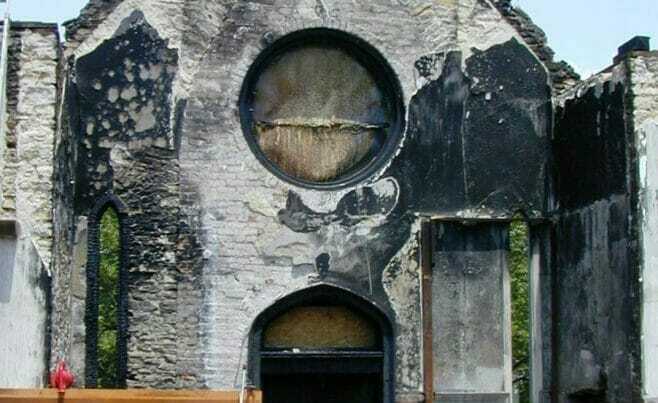 It is registered as a Recorded Texas Historic Landmark. 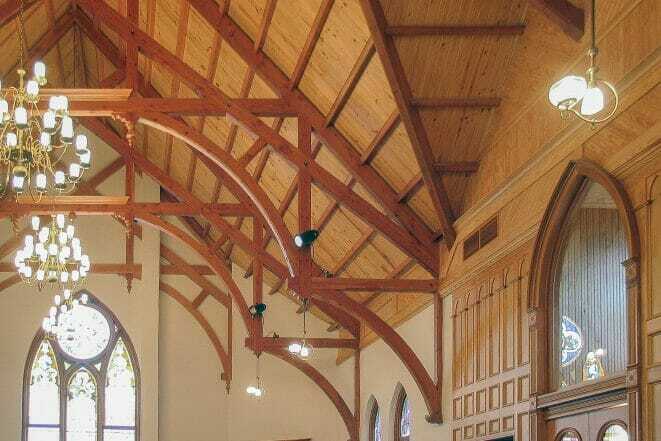 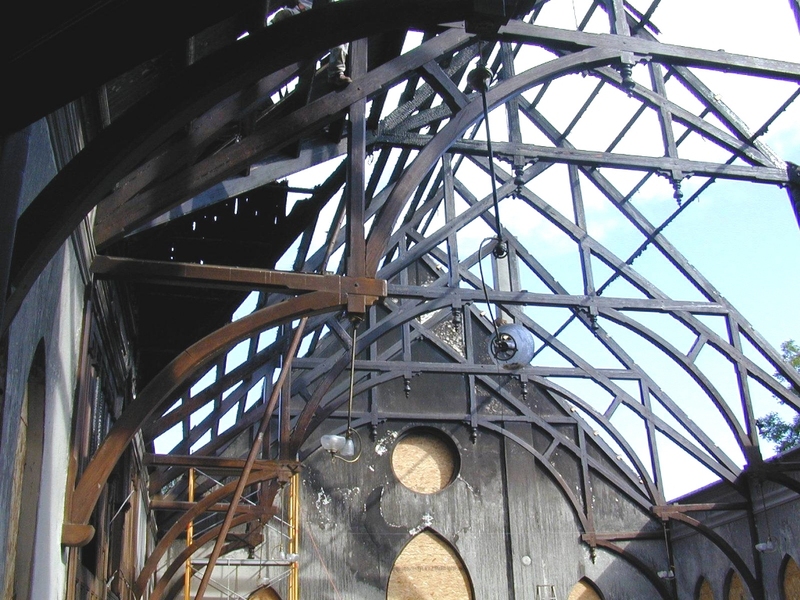 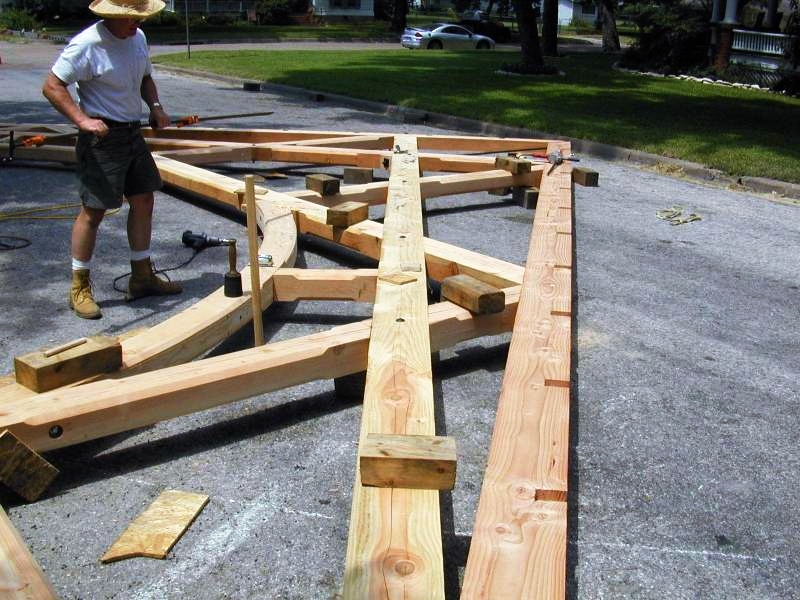 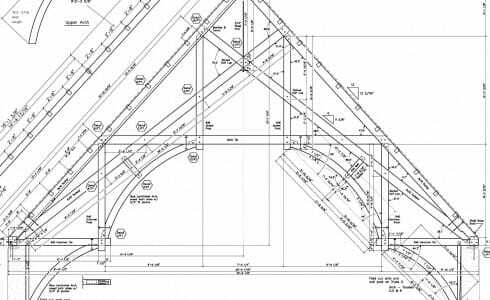 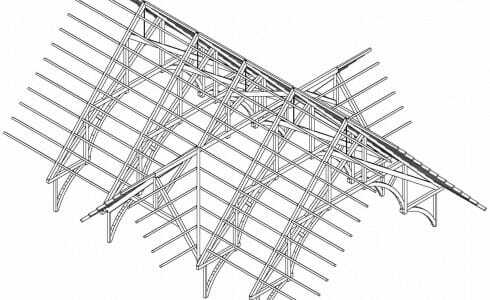 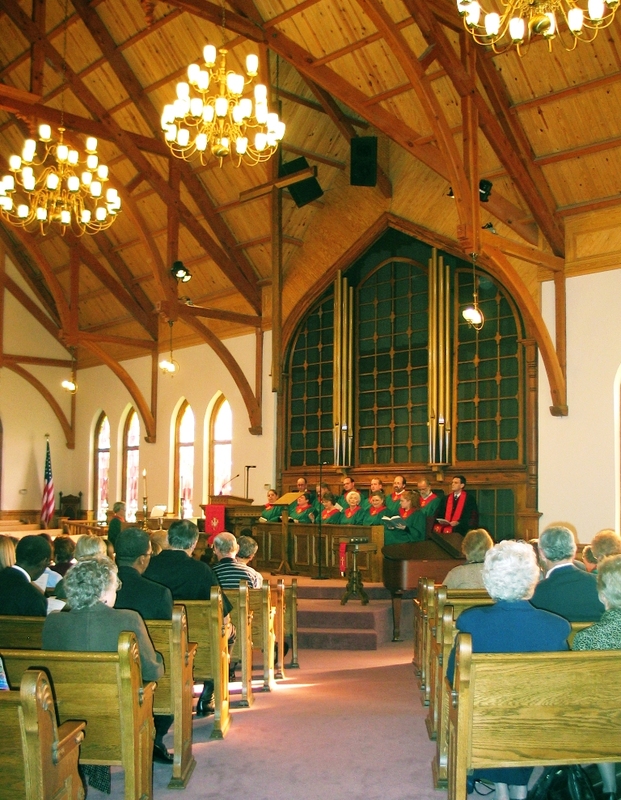 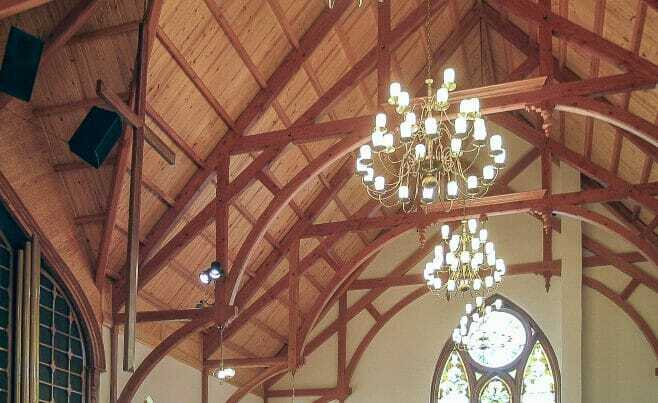 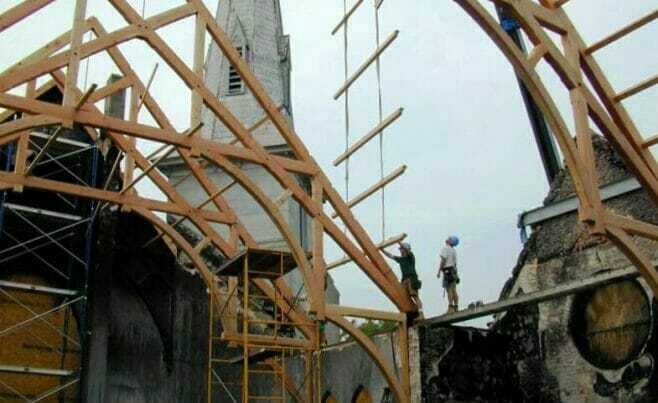 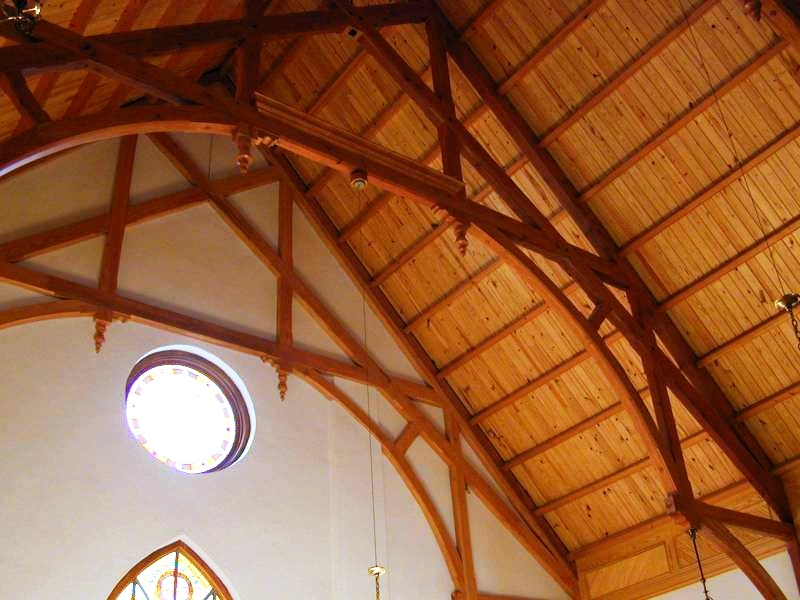 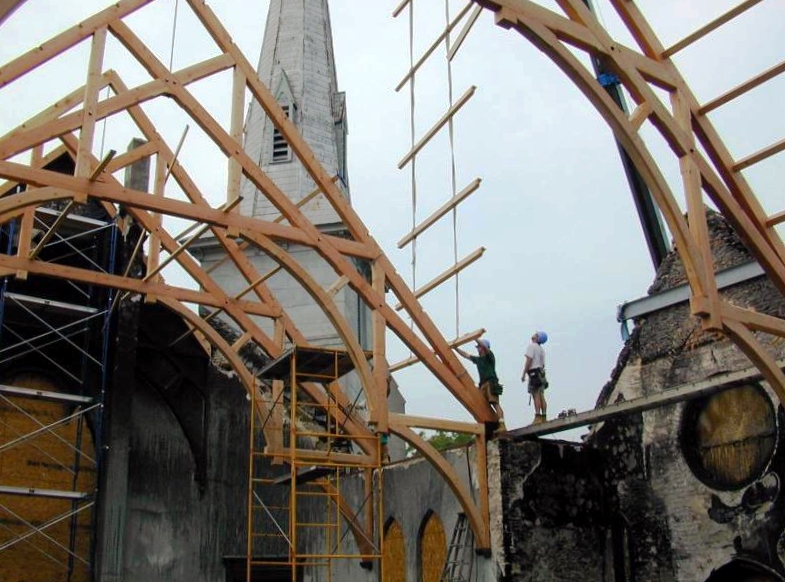 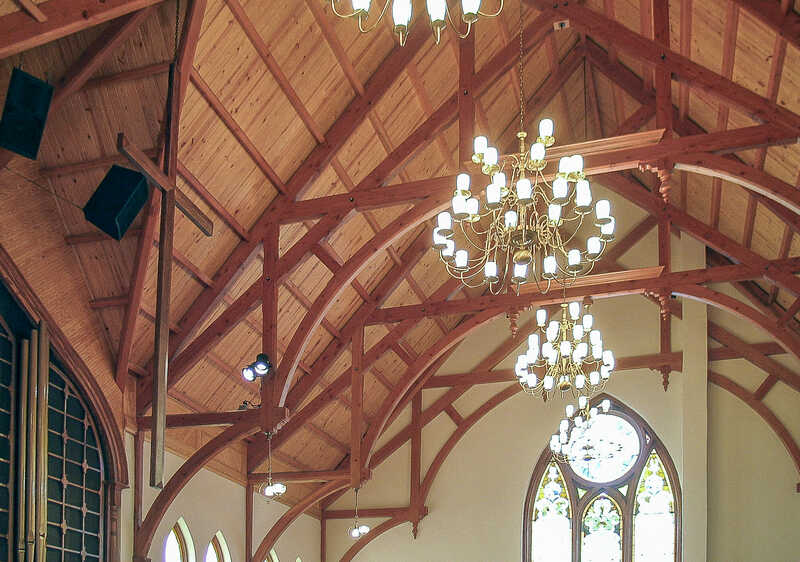 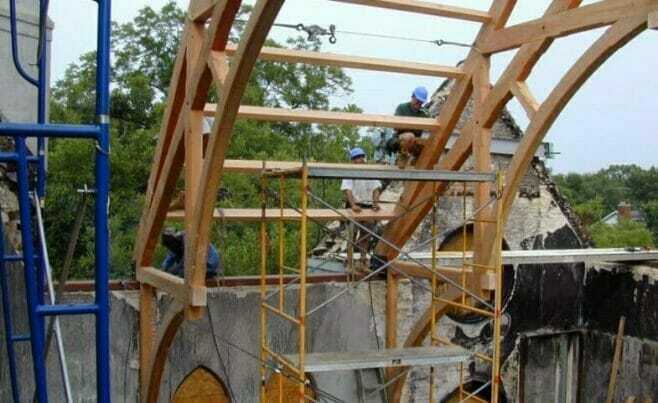 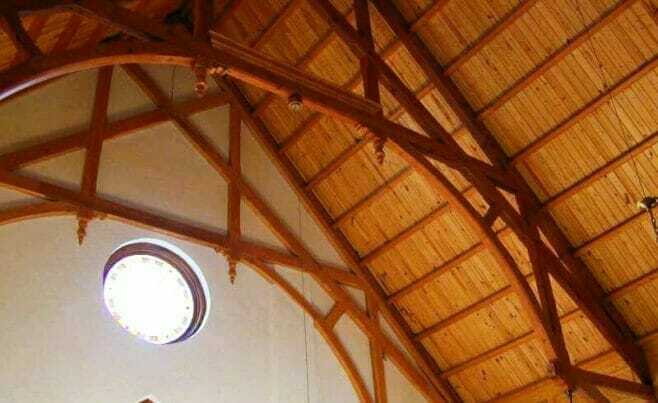 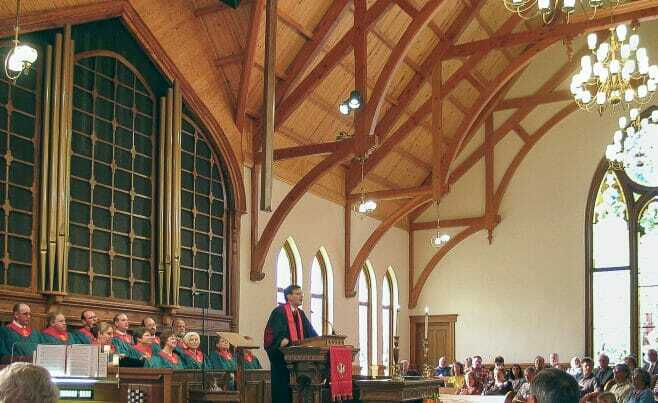 After a fire damaged the church, Vermont Timber Works provided custom, heavy timber trusses to restore the cathedral ceiling. 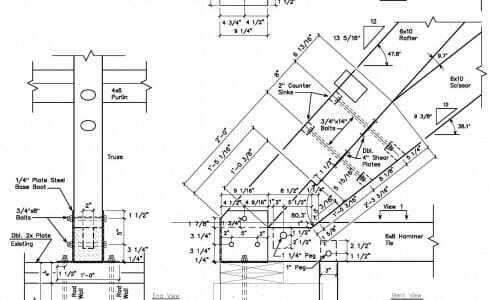 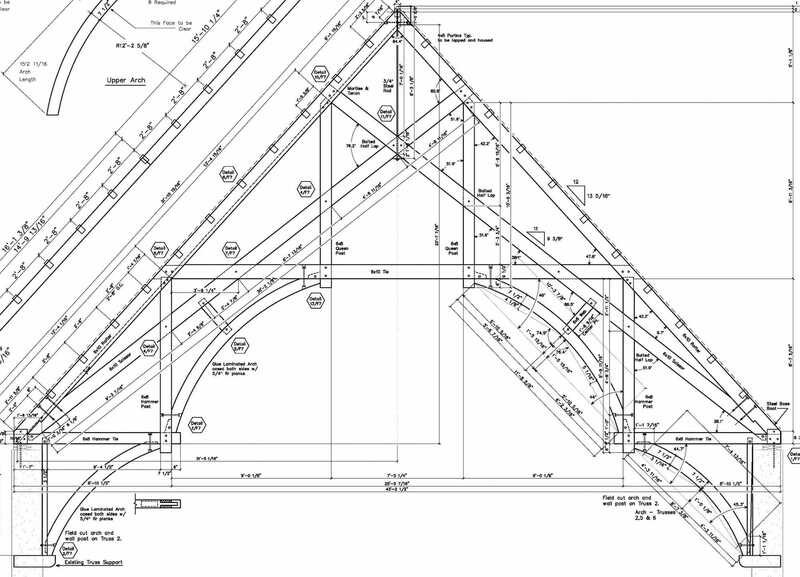 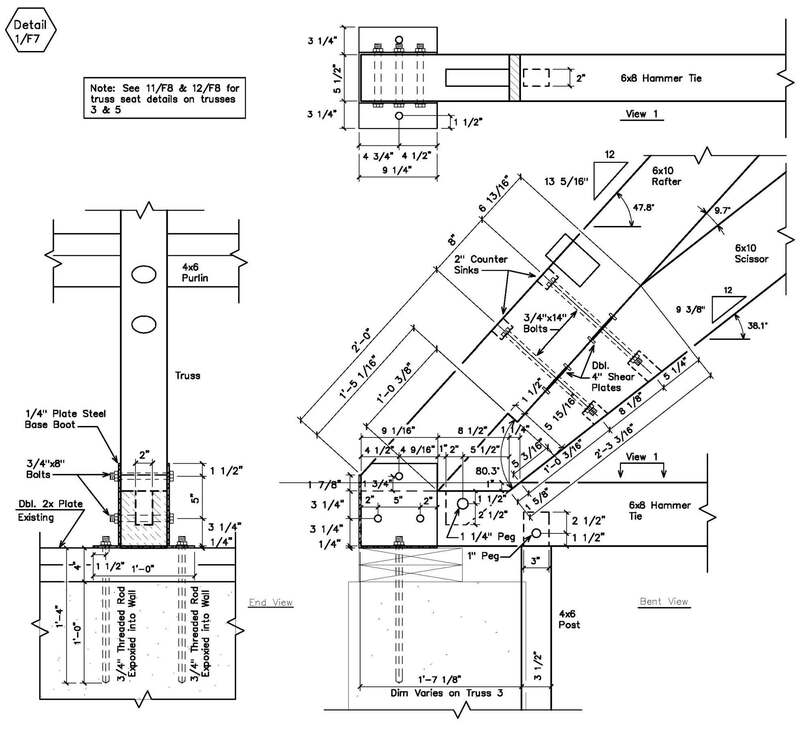 We worked with Guide One Construction, Dufresne-Henry engineers, and MBC Management on this project. 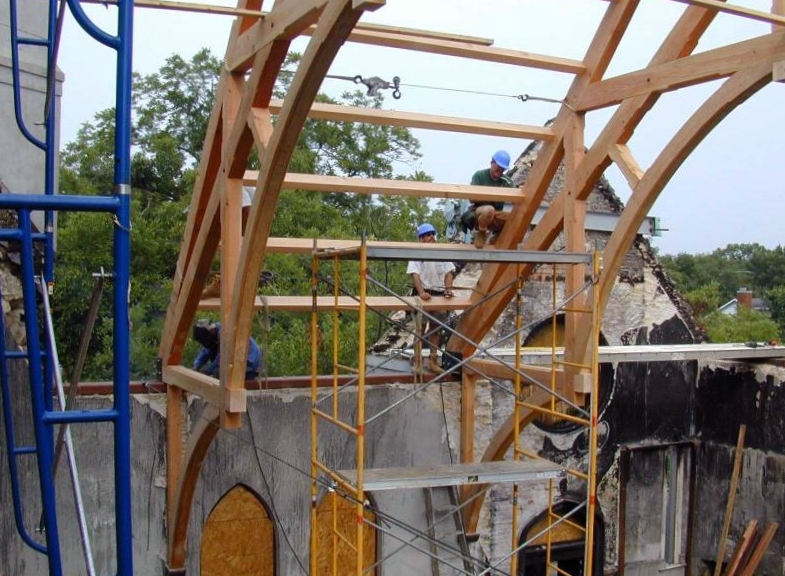 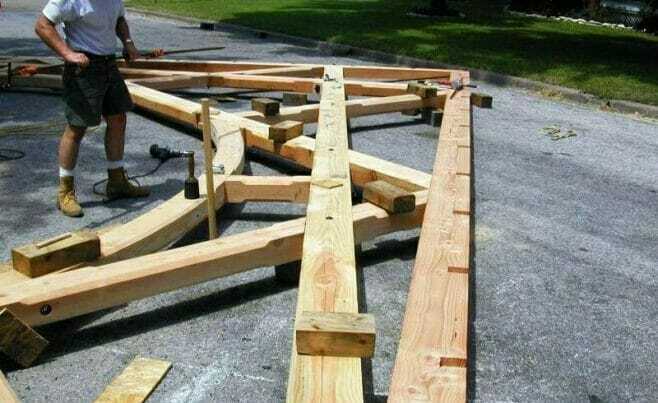 If you like this timber frame church restoration, or have timber work questions, we invite you to get in contact or ask an expert! 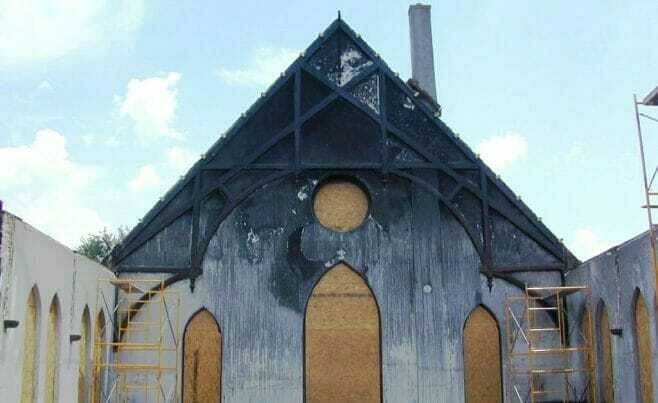 The church was originally built in 1894. 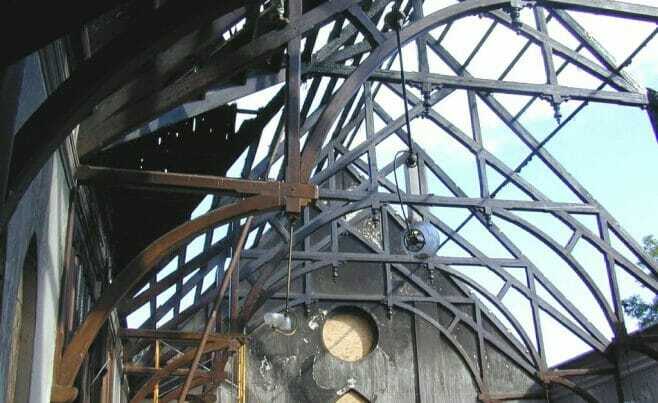 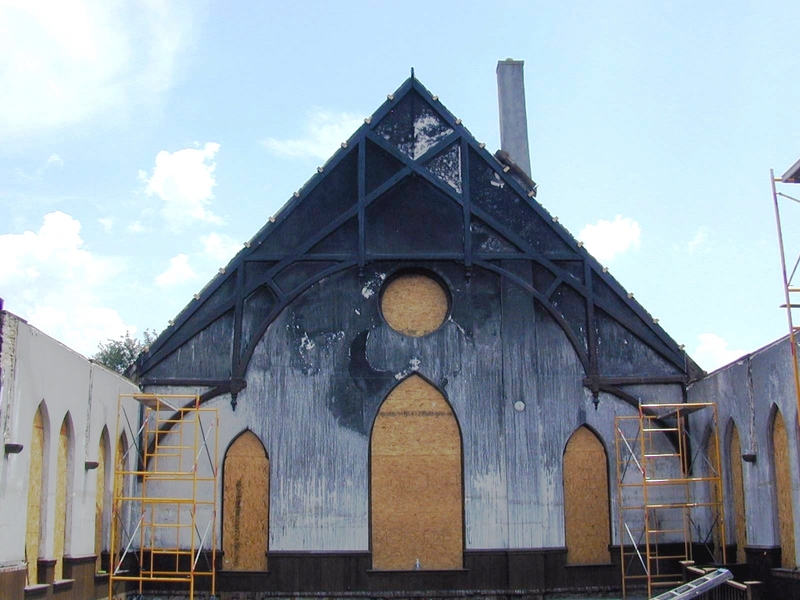 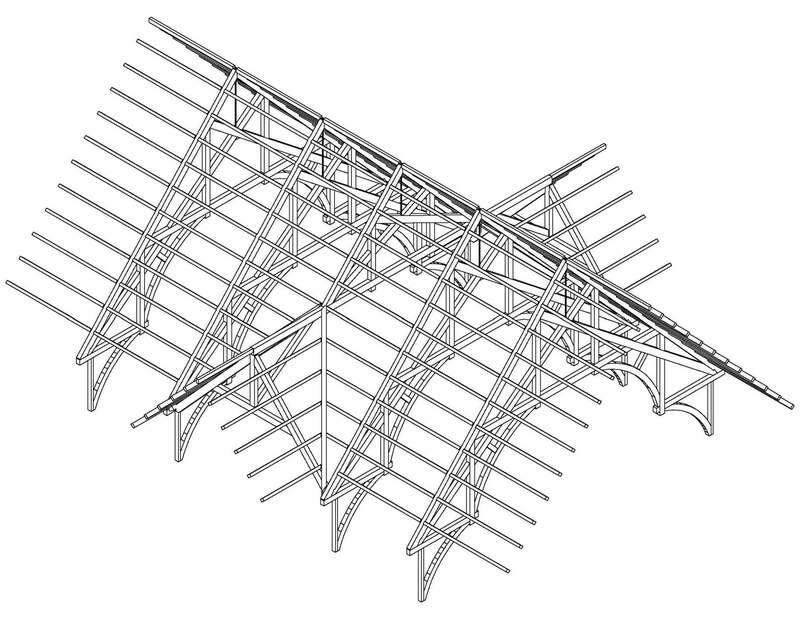 Below are pictures of the original, fire damaged trusses.